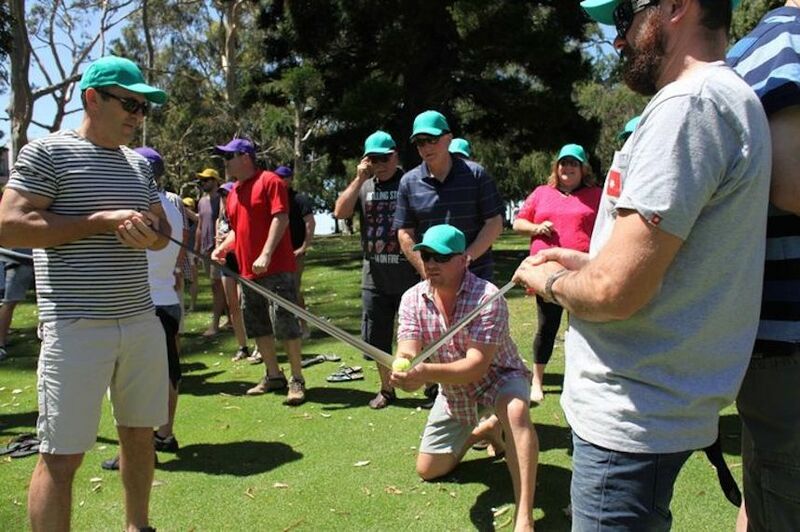 When companies are trying to think of something to do to get their team together for some fun, they might consider team building. Many may wonder if the best choice is for indoor or outdoor team building activities. In many locations, summer is a great time of year to get outside and enjoy some fresh air. Most professionals work in an office building all day. Therefore, people would appreciate the opportunity to get out, stretch their legs and get the blood flowing. But finding an event that suits all shapes, sizes and fitness levels can be challenging. The last thing a corporate event should do is make anyone feel excluded. Activities such as Team Olympics and Corporate Survivor are excellent choices. These two events incorporate a wide range of activities involving skill, strategy, collaboration and of course, fun! By utilizing the philosophy of “Challenge by Choice,” each individual is given the ability to determine their own level of physical participation without missing out on any of the action. One of my favorite outdoor team building activities is played with a giant slingshot. We broke into teams and were given an empty bucket, a slingshot, and water balloons. We had to launch the water balloons across a large lawn area to one of our team members. The other team member was holding the bucket and attempting to catch the balloons. Needless to say, there were a lot of broken balloons and a lot of laughs. This same activity could be played with tennis balls if you prefer to keep everyone and everything dry. Another fun event is the land ski team challenge. Imagine an entire team, sharing one giant set of skis. One person on the team has to act as the leader and coordinate everyone’s movement to make it across the field to the finish line. Teams will have to use coordination and communication to successfully cross the field swiftly without anyone tumbling over. There are other activities that are more physical, like sack races and land raft. These activities always need cheerleaders and strategizers on the sidelines, giving everyone a chance to participate at some capacity. So don’t be shy, plan to get outside and have some fun with one of our exciting outdoor team building activities. You never know, your team may win the gold!